As has always been the norm when planning for a getaway in Kenya, people usually focus on going to the highly publicized places such us the Mara,Mombasa,Amboseli , Tsavo which is not a bad thing.However, due to this, most of us tend to ignore the idea of going on a holiday assuming that it will cost a fortune,but what we do not usually understand is that,yes there are expensive places but there are also budget places!All you have to do is when you have picked a destination, let your agent advise you on the cheapest accommodation that you can get before you settle for anything. If you however feel that we are not convincing on budget accommodation, well there are other places that are worth visiting, have great ambiance, great budget accommodation and you can enjoy great activities! 1.Nyahururu - A night at a standard lodge would cost from about KES 2500 plus, on bed and breakfast meal plan.Not only does Nyahururu have good budget accommodation but it is also the home of the Thompson falls! 2. 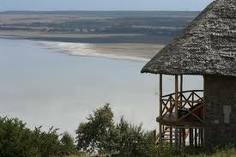 Lake Elementaita - In the recent past Lake Elementaita area has seen a rise in the number of hotels/lodges that have come up,therefore giving you a variety to choose from.As the name suggests, it is the home of Lake Elementaita and nearby there is the Hells gate national park.Great standard accommodation in Elementaita costs from about KES 4500 onwards, on half board meal plan. 3. 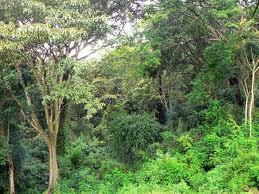 Kakamega Forest - This is a great attraction for nature lovers, especially those who enjoy bird watching.Kakamega is known for its green lands, the forest is great for nature walks etc Accommodation at the forest can cost from about KES 3000 onwards on bed and breakfast meal plan. 4. 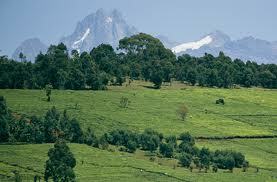 Nyeri - With a strategic location lying between the eastern base of the Aberdare range and the western slopes of Mt. 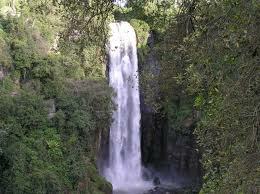 Kenya, Nyeri is Kenya's largest town, with a couple of good budget hotel in the area. Great views are inevitable,with mountain climbing as one of the major activities. Standard accommodation in Nyeri will cost you from about KES 4000 onwards on bed and breakfast meal plans. 5. Bamburi Beach - The coast has always been a major attraction when it comes to local tourism and the good news is that it can continue being a major attraction.Bamburi has seen a rise of budget accommodation meaning that you can get to experience and enjoy the beach at a "cheap" cost. A night in one of the standard budget accommodation can cost about KES 3500 onwards on bed and breakfast. 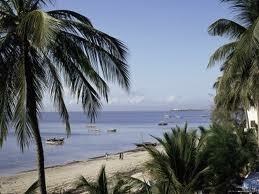 A New Chapter For The Kenyan Tourism ? Kigali: Mountain Gorilla Population Grows! Where To This Time; The Beach or The Safari ?